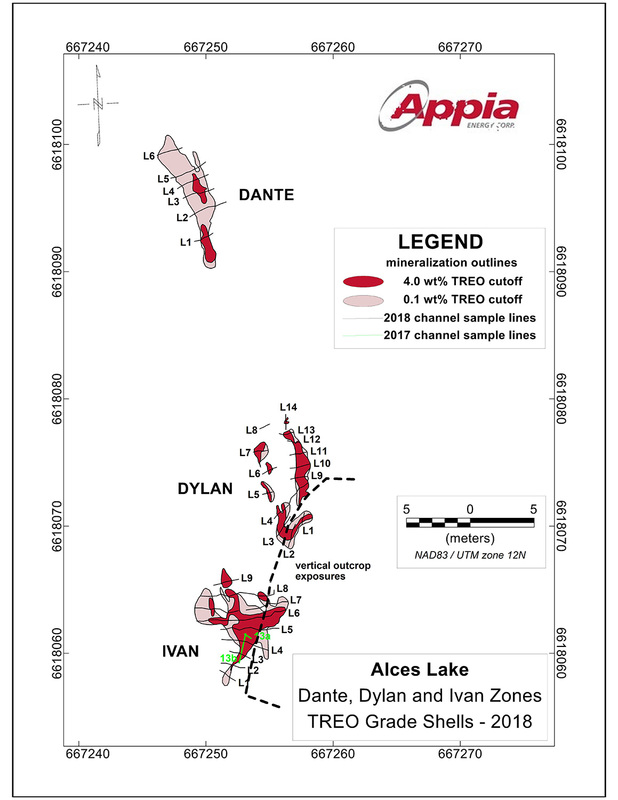 Appia Energy Corp. [CSE: API, OTCQB: APAAF, Germany: A0I.F, A0I.MU, A0I.BE] is pleased to provide the remaining analytical results from surface channel samples collected from the Bell, Dante, Dylan and Ivan zones as part of the Company’s completed 2018 Summer exploration program carried out on the Alces Lake Property in northern Saskatchewan. 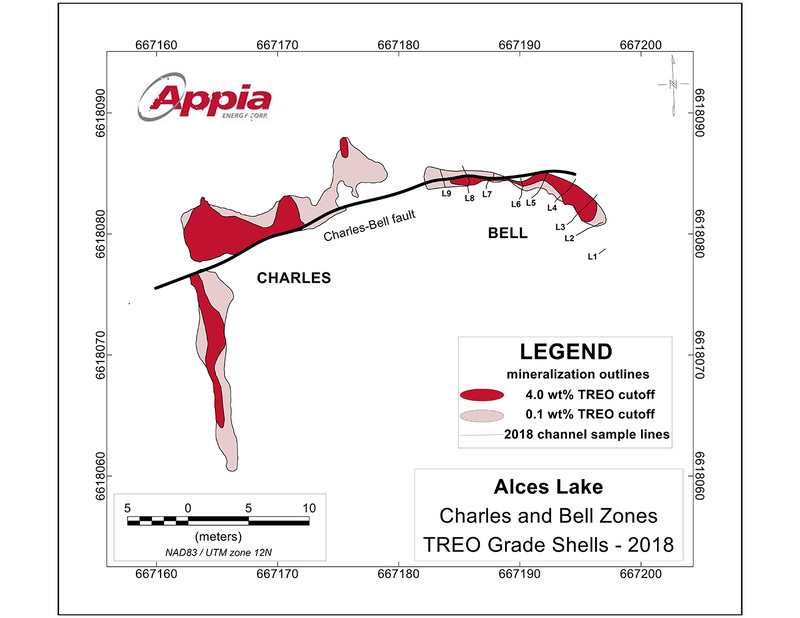 Mr. James Sykes, Vice President of Exploration and Development for Appia comments: “We are extremely pleased with the final results from the surface channel sampling Program on the Alces Lake property. Not only do the results from the zones highlighted above compare favourably with previously reported results from the Charles (14.90 wt% TREO over 5.1 m) and Wilson (14.35 wt% TREO over 4.75 m) zones, but the Ivan and Dylan zones truly showcase the high-grade REE potential of the Property: these are some of the highest grade REEs reported in the World (see **Note later in the Press Release)”. All sample results were provided by Saskatchewan Research Council’s Geoanalytical Laboratory, an ISO/IEC 17025:2005 (CAN-P-4E) certified laboratory in Saskatoon, SK, for multi-element and REE analysis. Appia is a Canadian publicly-traded company in the uranium and rare earth element sectors. 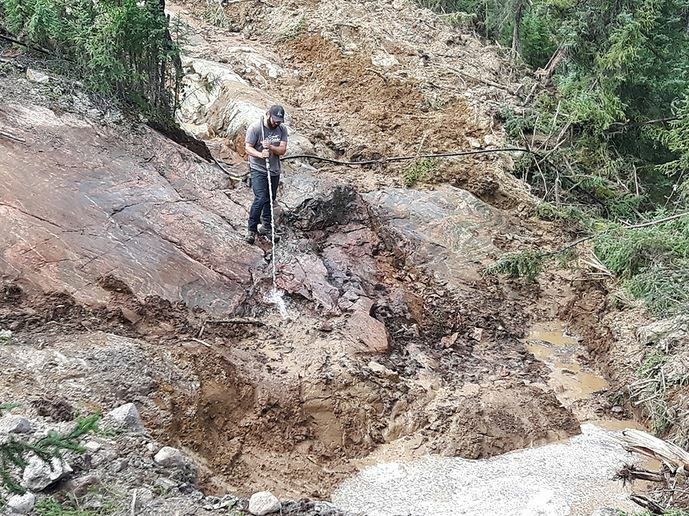 The Company is currently focusing on delineating high-grade critical rare earth elements (“REE”) and uranium on the Alces Lake property, as well as prospecting for high-grade uranium in the prolific Athabasca Basin on its Loranger, North Wollaston and Eastside, properties. The Company holds 100% of the surface rights to exploration over 63,980 hectares (158,098 acres) in Saskatchewan. The Company also has NI 43-101 compliant Mineral Resources of 8.0 M lbs U3O8 and 47.7 M lbs Total REE Indicated and 20.1 M lbs U3O8 and 133.2 M lbs Total REE Inferred in the Teasdale Zone plus 27.6 M lbs U3O8 Inferred in the Banana Lake Zone in the historic mining camp of Elliot Lake in Ontario (previously reported in the Company’s news release dated August 14, 2013). The resources are largely unconstrained along strike and down dip. Mineral Resources are not Mineral Reserves and do not have demonstrated economic viability. Appia’s technical team is directed by James Sykes, who has had direct and indirect involvement with over 450 M lbs. U3O8 being discovered in five deposits in the Athabasca Basin.